After winning the fifth ODI against West Indies on Thursday in Thiruvananthapuram, India won the 5-match series by 3-1. For his amazing performance in the series, Virat Kohli was selected as the 'Man of the series', he scored 453 runs in 5 matches with an average of 151. Virat Kohli has played 216 ODI matches for India so far and has scored 10232 runs in 208 innings. Which includes 38 hundred and 48 half centuries. While in red ball cricket, he has scored 6332 runs in 73 tests and not to forget 2102 runs in 62 T20ls matches. 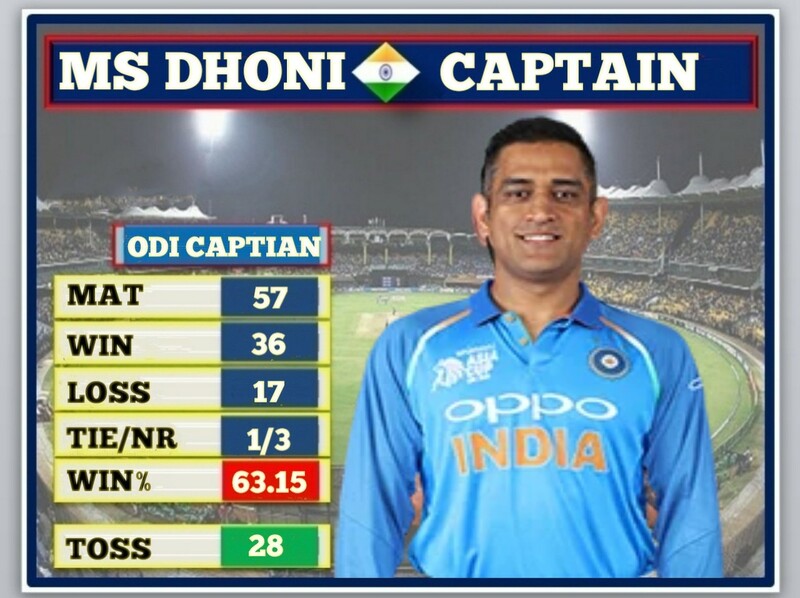 One of the most successful captains of Indian team, MS Dhoni achieved 36 wins, 17 defeats and one tie and 3 no results in his initial 57 matches as captain. 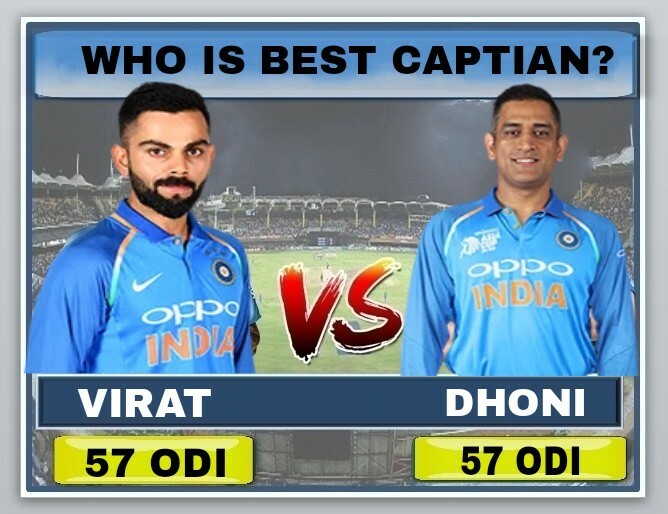 During this period, Dhoni had a winning percentage of 63.15 and he had won the toss on 28 times with a toss percentage of 49.17. 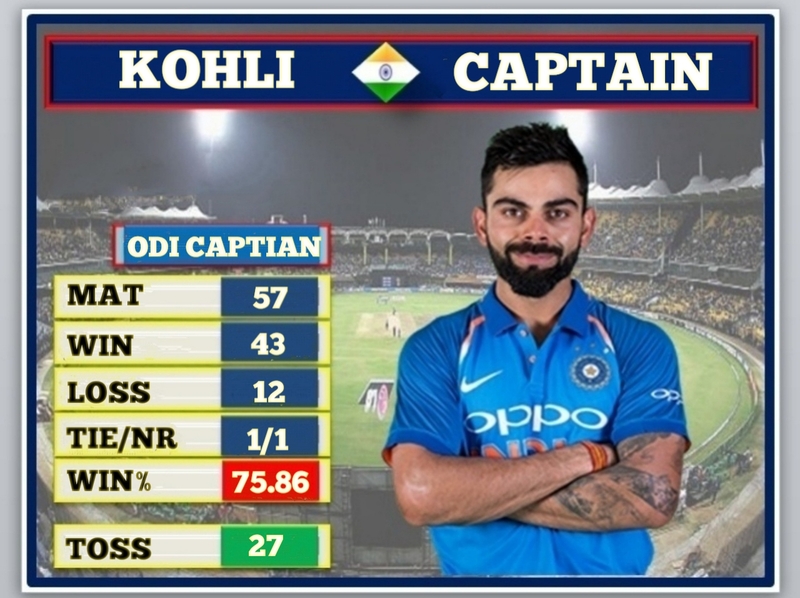 If we talk about Virat Kohli's captaincy in ODIs, Virat Kohli has captained Indian team in 57 ODIs so far. During this time he has tasted success in 42 matches and faced defeat in 13 games with one tie and one No result. Virat Kohli has a staggering 75.89 winning percentage, which is second best after Clive Lyold and Kohli has won the toss on 27 ODIs so far with a toss winning percentage of 47.46.